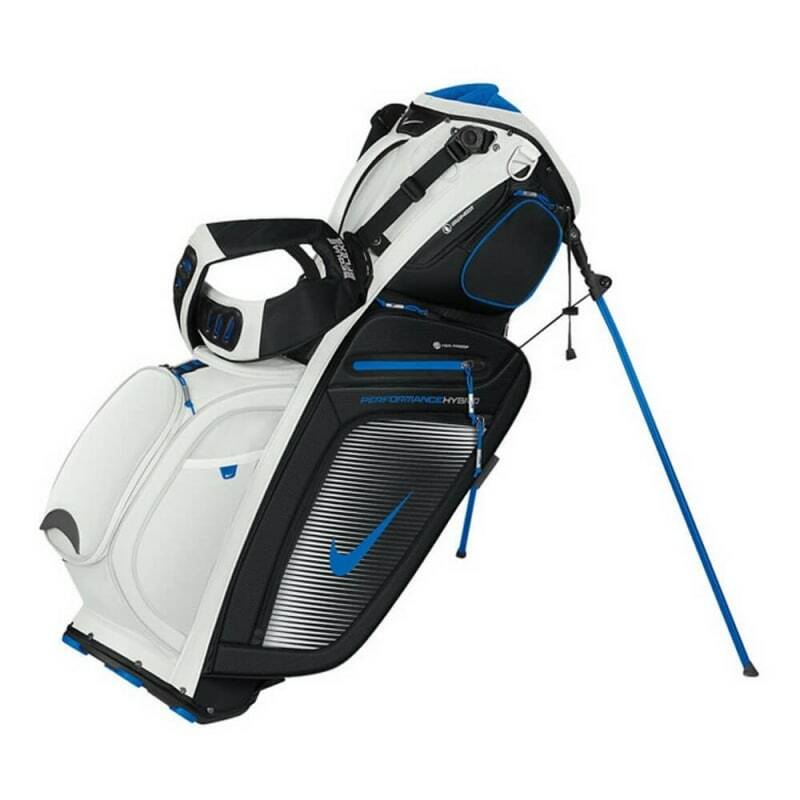 Featuring engineered compartments and lightweight yet durable materials, the Nike Performance Hybrid Carry Bag keeps your gear organised on the course. Featuring engineered compartments and lightweight yet durable materials, the Nike Performance Hybrid Carry Bag keeps your gear organised on the course. The cushioned mesh double straps provide ventilation and an even weight distribution over your shoulders while carrying the bag from tee to green.